If you are a business, you are eligible. Thousands of local East Bay businesses have participated since 2006. Here are just a few. Step 1: Identifying the need and proposing the solution - no cost, no commitment. First, we need to understand your project interest and motivation. Are you trying to improve your lighting? Does your HVAC system have a mind of its own? Or maybe you just want to save money. Whatever the reason, we offer the flexibility to meet your specific needs. Our project proposals are clear and easy to understand, complete with costs, benefits and savings estimates. This step ends with your signature on our participation form, reflecting the project elements you have chosen to implement. Step 2: We manage high-skilled contractors to get the job done right. Next, we work closely with our preferred contractors to ensure high quality installation in a timely fashion. Our contractors are deeply experienced, having completed thousands of projects on time and on budget. We coordinate our activities around your schedule to make the project as hassle-free as possible. Limiting disruption in your work environment is our goal. Step 3: You decide when the project is complete because your satisfaction is paramount. Is everything working properly? Is it a job well done? Once you are satisfied, we ask for another signature to complete the project. Our services ensure that you receive the maximum available incentive from PG&E. And to make it easier, we will apply this incentive directly to your project, lowering your out-of-pocket cost and eliminating the hassle of obtaining your rebate. 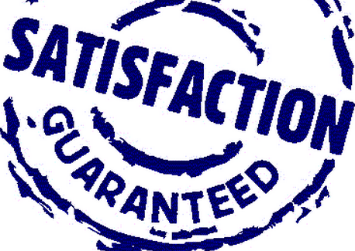 We personally inspect 100% of our projects upon completion to ensure the highest level of customer satisfaction. Our business services are powered by DNV-GL and Community Energy Services Corporation.